They were very helpful with selecting the color design and the palette. I have already recommended them to other people. They were quick to respond, and they were quite a bit less than their competitor. Every step of the way, I was involved. I liked the fact that they did what they said they would do. There were no surprises and no over-charges. They were very good, and very professional, from the beginning to the end. They did a great job. They were quick and efficient. They did exactly what they said would do when they said they would do it. 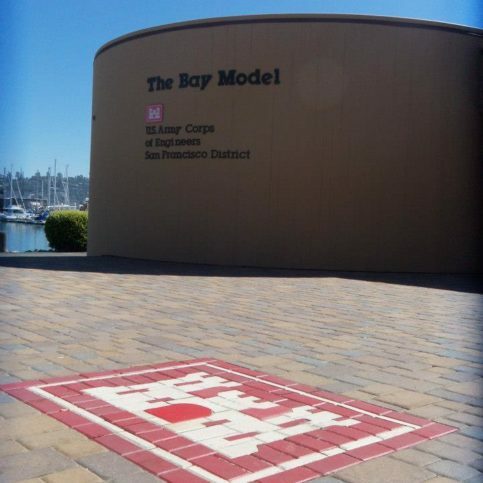 The Legacy Paver Group is a second-generation hardscape company based in the Bay Area since 2001, with roots in Germany and the United Kingdom dating back 30 years. 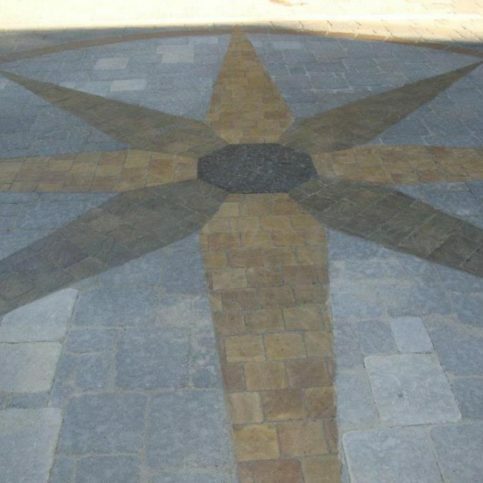 The company utilizes its comprehensive stone and paver abilities (which include custom designs and color blends) to handle a wide variety of commercial and residential projects, including driveways, patios, pool decks, pathways and steps, walls, outdoor kitchens, and fire pits. 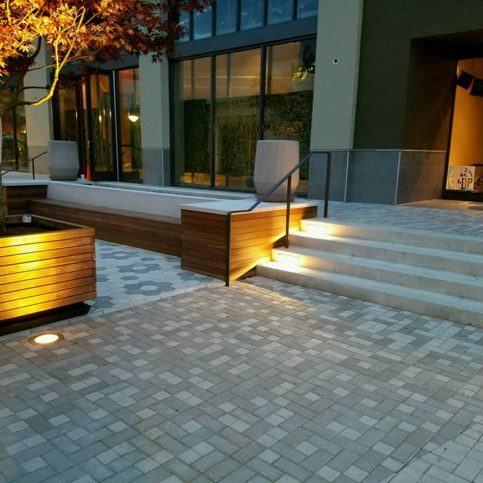 The Legacy Paver Group is a second-generation hardscape company based in the Bay Area since 2001, with roots in the United Kingdom and Germany dating back 30 years. 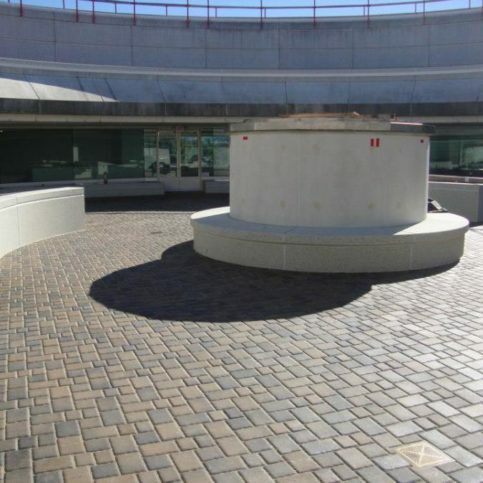 The company utilizes its comprehensive paver and stone abilities to handle a wide variety of commercial and residential projects, including driveways, pathways and steps, patios, walls, pool decks, fire pits, and outdoor kitchens. If you notice weeds growing between your paving stones, it’s because windblown seeds have lodged themselves in the joints, not because they’re growing organically out of the bedding sand. You can use herbicides to get rid of them, but consider using an environmentally-friendly product that won’t pollute surrounding water supplies when you wash it off the surface. You may also consider having a professional seal the pavers and joints—it’ll lock the sand in the joints and make it impossible for weeds to grow. If your paving stones are colored, that means pigment was added to the concrete mix during the production process. The pigments are held in place by the cement in the concrete mix, so their properties don’t really change over time. As your paving stones wear down from car/foot traffic or weather conditions, the color pigments start to erode and gradually change color. 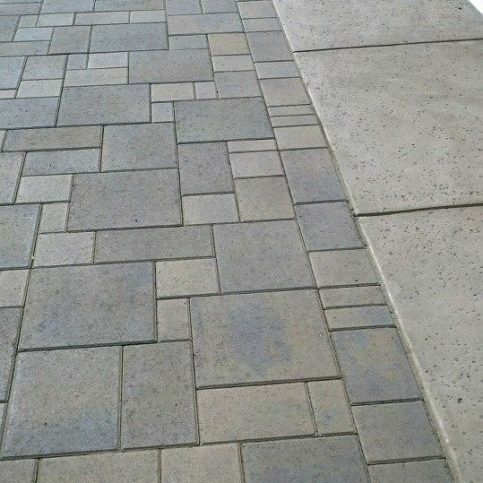 One way to slow down the rate of this color change is to clean and seal the surfaces of your pavers, which can also prevent dirt from lodging in the surface. Your paving stones won’t necessarily be damaged by a car that’s leaking oil, but the stains can be difficult to remove. The best course of action is to treat stains as soon as possible—the longer they stay on the surface, the deeper they’ll penetrate. Quickly wipe off any surface oil, apply some liquid detergent, allow it to soak for a few minutes, and wash your pavers with hot water. If a stain is particularly tough or has been sitting for too long, it might require several treatments. Badly stained pavers can be removed and replaced. Q: What’s covered under your 25-year warranty? A: Our warranty covers anything related to the installation itself, including buckling, cracking, spreading and retaining edge failure. If we investigate a problem and determine it was caused by incorrect installation methods, we’ll repair it immediately for free. 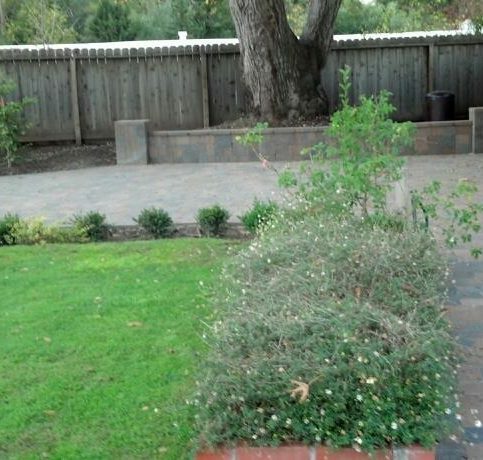 The warranty doesn’t cover problems that are unrelated to the installation, like tree roots, but we can easily fix those issues by lifting up the pavers, cutting the roots back and putting it all back together. 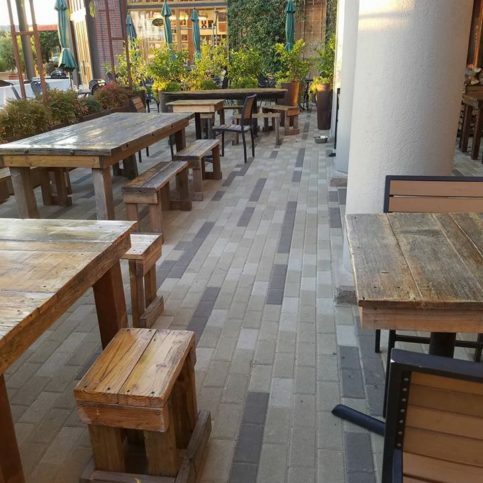 Stained pavers aren’t covered, but they’re easily replaced. 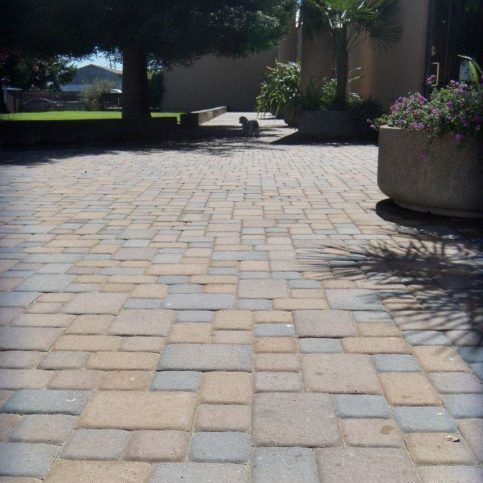 Sealing is a great way to protect pavers against certain stains. A: Our price includes the full spectrum of materials and services needed to complete the job, including the design, demolition, excavation and building materials. Each project is different, so we encourage you to get a free estimate before anything else. We’ll come to your property, do the measurements, show you some options and put together an estimate. Q: Can you help me choose a product and design? A: Yes, we have several skilled designers on our team. There are many pavers and designs to choose from, and it can get a bit overwhelming for some people. We’ll look at your house and suggest products, colors, and styles that we feel would work best. We can also do a custom design if you’d prefer. 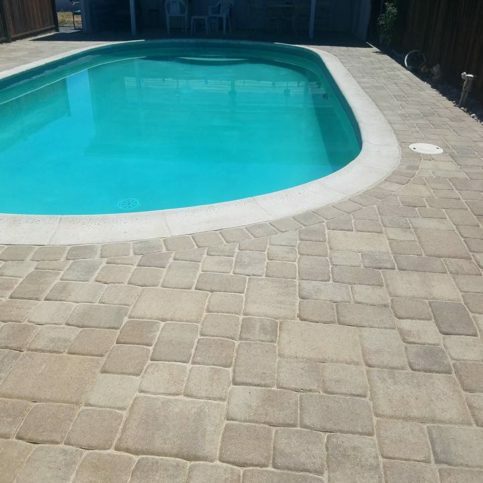 Q: Can I install pavers around my swimming pool? A: Absolutely. 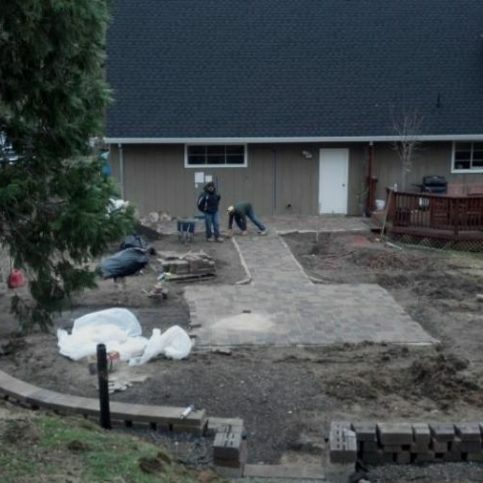 You can put pavers anywhere that you can put concrete, as long as it’s done correctly. Each application has its own requirements, though—the installation around a pool is different than the installation on a driveway. Q: Are paving stones environmentally-friendly? A: Yes. In contrast to non-permeable materials, paving stones allow water to drain through, which lets the bacteria that lives between the stones remove toxins before they reach surrounding water supplies. 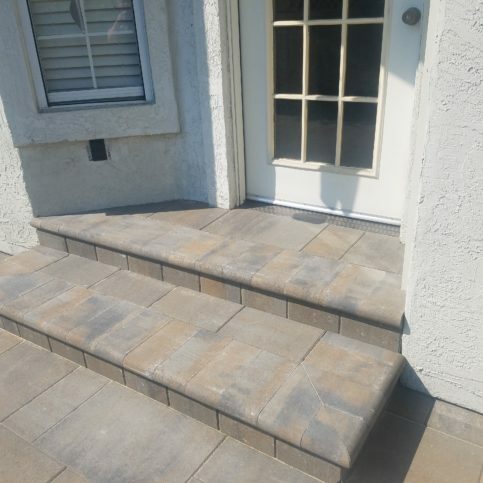 The Legacy Paver Group installed these paved steps by a client’s pool. 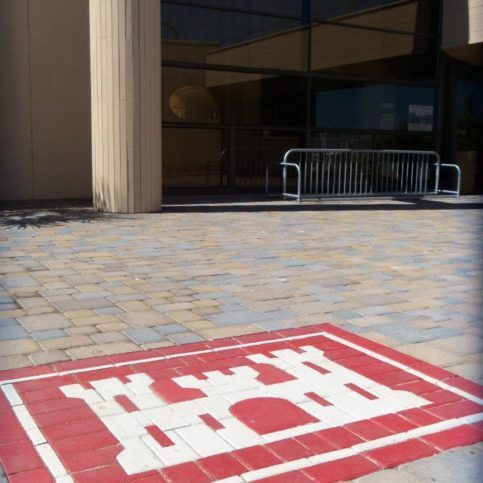 The Legacy Paver Group specializes in custom designs. Hayley Johnson is a veteran of the paving stones industry and owner of The Legacy Paver Group, a Diamond Certified company since 2013. She can be reached at (415) 886-2903 or by email. A: I like everything from biographies and historical novels to chick lit. Basically, if something captures my interest, I’ll read it to death. A: South America. Brazil would be my first stop. I work with a lot of Brazilians and they’re a lot of fun. Plus, it’s a huge country, so I could spend a lot of time there. A: I have both, so I don’t really have a preference, but overall I’m probably more of a cat person…just don’t tell my dog. Q: If someone was making a movie about your life, what actress would you choose to play yourself? A: No one—I’d have it be a documentary. 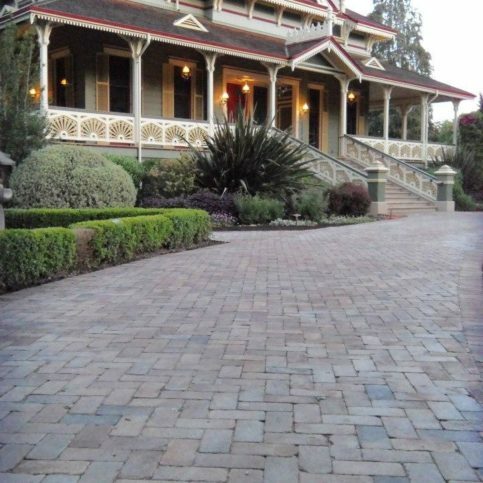 SANTA ROSA — If you’ve decided to go with pavers for your new driveway, walkway or patio, congratulations—you’ve made a great choice! However, while you may have made one big decision, you now have a lot more of them ahead of you. There are nearly countless style and color options for pavers, and it will take a lot of perusing and careful consideration before you find the perfect one for your home, landscape, and budget. To aid you in this process, we recommend sitting down with your paving stone contractor, who will utilize their knowledge to steer you in the right direction. 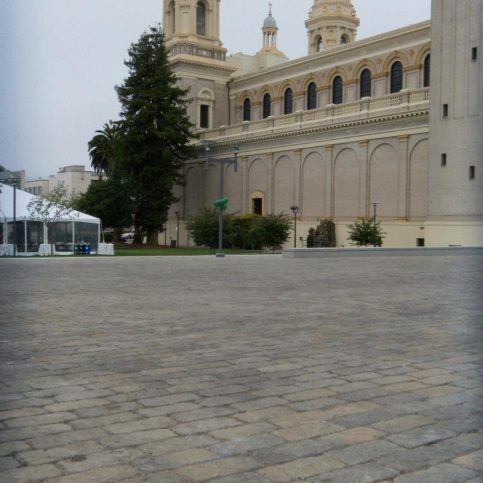 In addition to style and color, another option you should look into when choosing pavers is permeability. Permeable pavers are a very popular option that can make your paving stone feature more environmentally-friendly. By allowing water to drain through the paver joints and filter down into the ground, permeable pavers help replenish the water table. 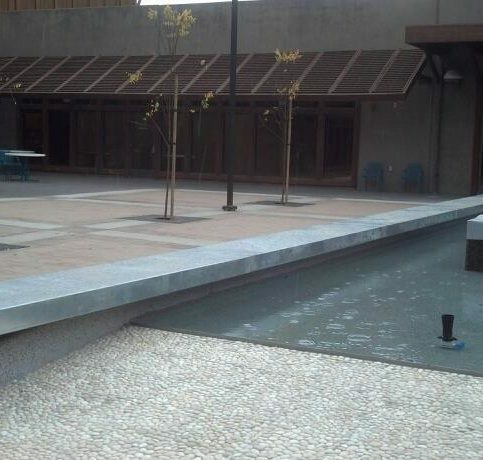 Regular pavers allow for a little bit of this, but they’re graded so most of the water runs off, which isn’t ideal. For this reason, some cities actually require permeable pavers, so remember to inquire about this when making your choice. 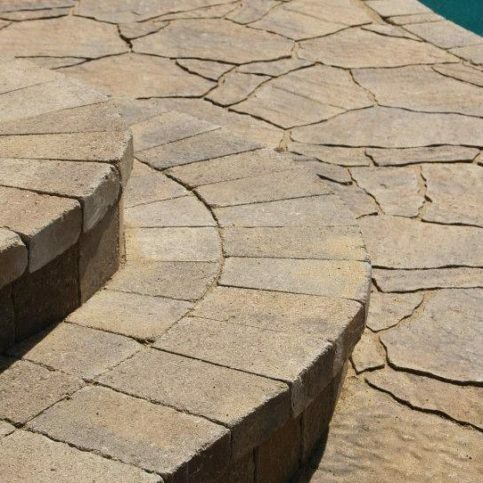 Beyond selecting pavers, be sure to choose the right contractor to install them for you. A good contractor will have a working knowledge of the materials and procedures that go into creating a sound paver installation. Additionally, make sure the contractor you hire is familiar with the permit process and can help you submit any necessary paperwork. Determine what type of soil you’re working with and what level of compaction is needed. Determine how much base rock is needed to provide an adequate foundation for your installation. Make sure your installation is properly graded to avoid drainage issues. Also, determine whether you should install permeable or non-permeable pavers. 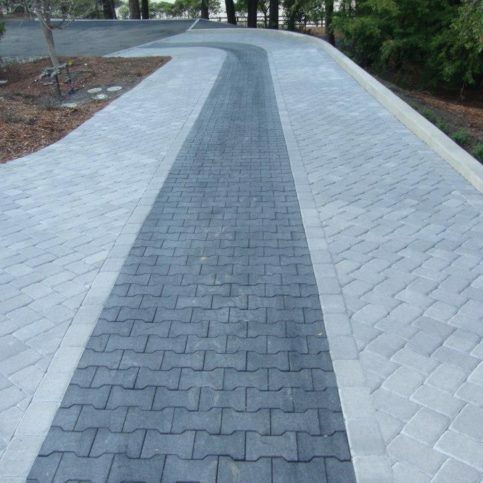 Paver installations often require retaining edges to keep gravel, wood chips and dirt along the perimeter from spilling over onto the paver surface. Your contractor should be familiar with all of these aspects and help you determine the right choices for your installation. Remember, if these aspects aren’t handled correctly, the installation may look nice when your contractor leaves the jobsite, but it won’t be long until you start to notice deficiencies, so be sure to get it done right the first time. 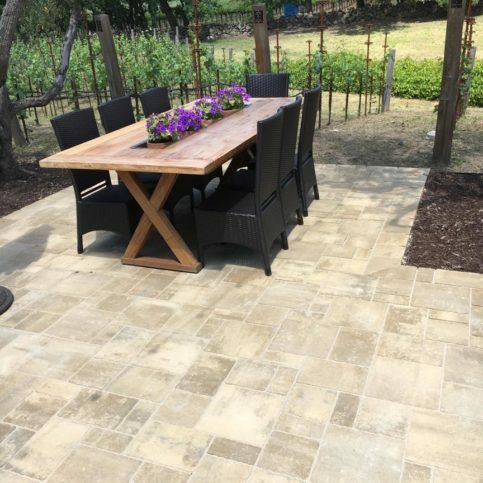 SANTA ROSA — Host, Sarah Rutan: When it comes to finding the right paver product for your home and landscape, there’s no substitute for a professional’s guidance. Today we’re in Santa Rosa with Diamond Certified Expert Contributor Hayley Johnson of The Legacy Paver Group to learn more. 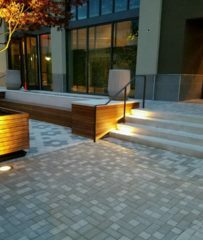 Diamond Certified Expert Contributor, Hayley Johnson: So, you’ve decided on pavers. Now what? You’ve got five books. You’ve got all the different colors, the different styles. Which goes with my roof? Which goes with my flowers? Choose a contractor that will take the time to sit with you and go through each and every stone, really listen to your needs, listen to your budget, and help you find the paver that suits your vision and your budget. 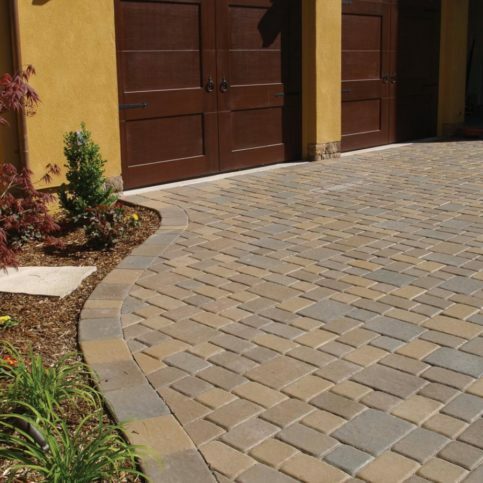 SANTA ROSA — Host, Sarah Rutan: When choosing a paver product for a new driveway or patio, consider the benefits of permeable pavers. Today we’re in Santa Rosa with Diamond Certified Expert Contributor Hayley Johnson of The Legacy Paver Group to learn more. 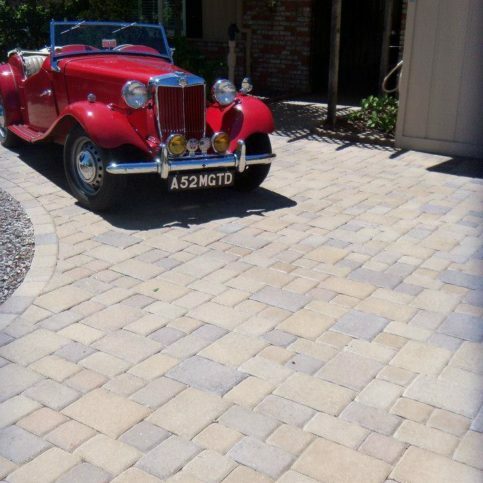 Diamond Certified Expert Contributor, Hayley Johnson: When you’ve decided to replace your driveway and you’ve done the research and decided on pavers, there are still multiple choices such as color and style, but also whether permeable pavers or pervious pavers might be an option for you. 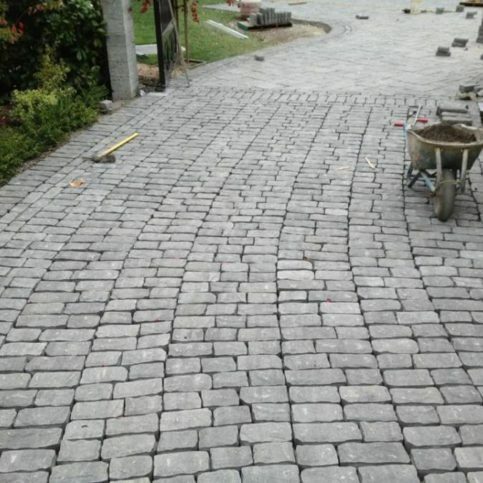 Some cities will require permeable pavers, and you should choose a company that knows that, and can help you to submit the paperwork and the submittals. Permeable pavers allow for the water to drain through the pavers or the joints and filter it down into the ground, replenishing a much-needed ground water. Regular pavers allow for a little bit of that, but mostly are graded to let the water run off, which is what we’re trying to avoid. 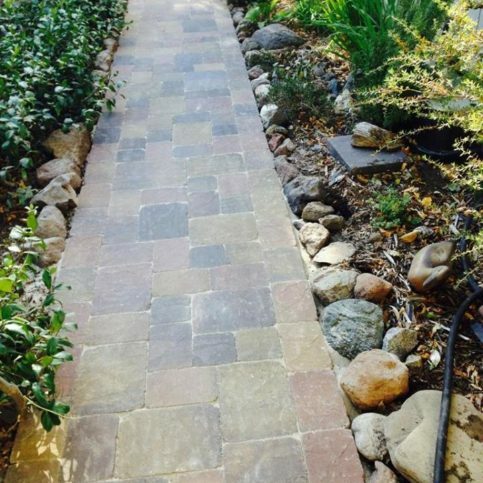 So, selecting a contractor to walk you through the permeable process is very important. 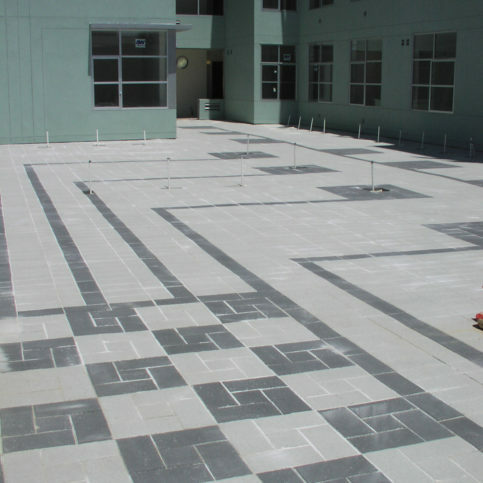 Make sure they have the knowledge of the base installation, the base materials, the types of paver, whether permeable or pervious, and the type of joint fill. These are all very important, and your contractor should know exactly which materials to use. 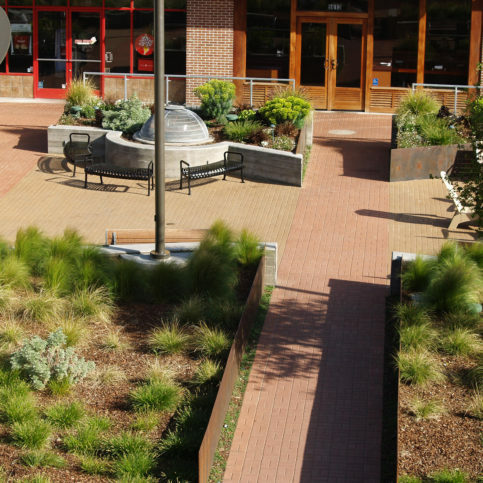 SANTA ROSA — Host, Sarah Rutan: When planning for a paver installation, it’s important to look beyond aesthetics and consider the technical aspects. Today we’re in Santa Rosa with Diamond Certified Expert Contributor Hayley Johnson of The Legacy Paver Group to learn more. Diamond Certified Expert Contributor, Hayley Johnson: So, once you’ve chosen the design of your driveway, or patio, you really do need to consider the technical aspect of it. It’s not as fun, but it’s equally, if not more so, important. 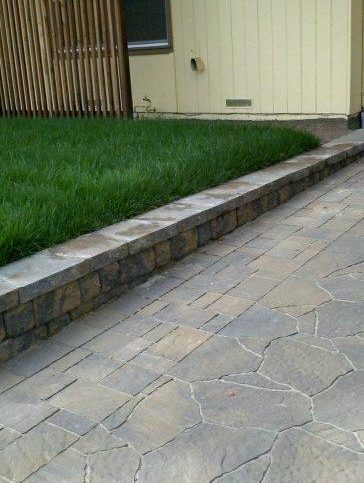 The base rock, how much you need, the depth, the type of compaction, whether it should be permeable or non-permeable, the types of soil that you’re working with—all of these, your contractor should know and will help you to determine the right base for you. Also, grading for drainage, the retaining edges–all of this is very, very important, and your contractor really should know how to install these properly. It really makes a difference as to the longevity of your installation. If it’s not done correctly, it may look nice when they pack up their tools and leave, but you will notice, very quickly, some deficiencies, and you want to avoid those by just getting it done right the first time. Stan Jonah is a veteran of the paver stone industry and sales manager at The Legacy Paver Group, a Diamond Certified company since 2013. He can be reached at (415) 886-2903 or by email. His work complete, Stan again attempted retirement, but a growing sense of unrest spurred him back into the workforce, where he rejoined his friend’s paver business. Eventually, after working for a couple more paver companies and at least one more failed attempt at retirement, Stan’s professional path led him to The Legacy Paver Group, where he works today as sales manager. A: I don’t usually eat breakfast, but if I had to, I’d have Eggs Benedict. A: I love Chinese food, so a couple of my favorites are Kirin and Great China, both of which are in Santa Rosa. A: I’ve traveled all over, but my favorite place in the world is Yosemite. I go there two or three times a year. There’s something magical about it—it just feeds your soul. A: Play with my birds. 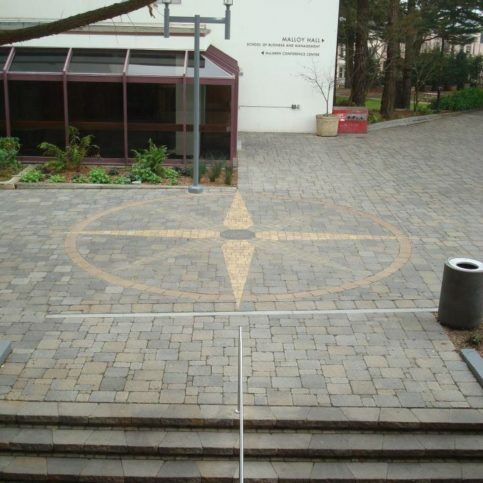 SANTA ROSA — One of the most important aspects of a paver installation is its design. Pavers come in myriad styles, colors and textures, which makes any project a blank canvas with an endless range of artistic possibilities. However, even if you come up with a great design for your paver project, if it doesn’t reflect the aesthetic attributes of your home and property, it may end up looking out of place. 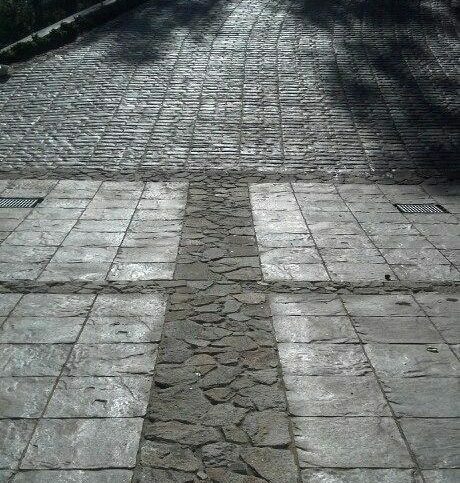 That’s why you need to consider the big picture when creating your paver design. 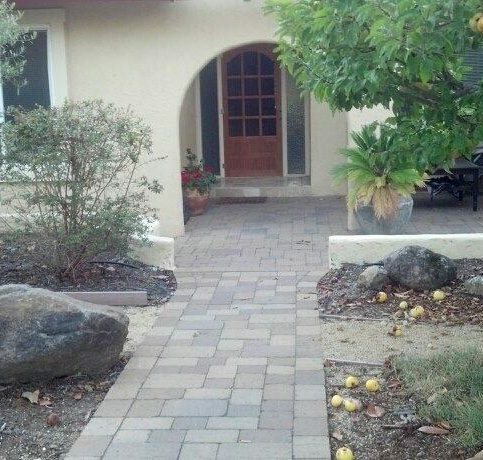 The first step is to make sure your paver design complements your home’s architectural style. 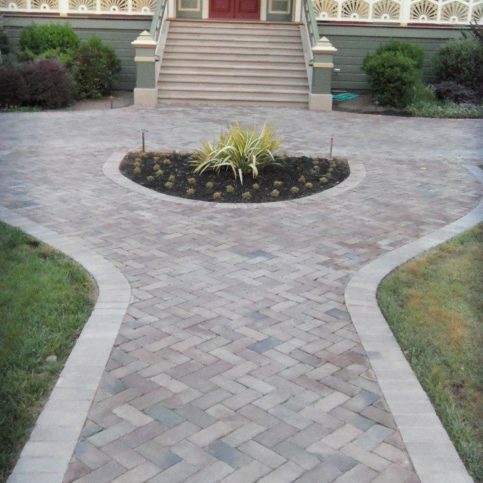 After, if you install a modern-looking driveway at your Victorian-style home, the result could be aesthetically dissonant. Fortunately, the paver industry has matured to the point where there are now pavers available for virtually any style of home. Even if you own a 100-year-old Victorian house, there are modern pavers that will fit with its architectural aesthetic. SANTA ROSA — Host, Sarah Rutan: When preparing for a paver installation, make sure the pavers’ style fits your property’s aesthetic character. Today we’re in Santa Rosa with Diamond Certified Expert Contributor Stan Jonah of The Legacy Paver Group to learn more. 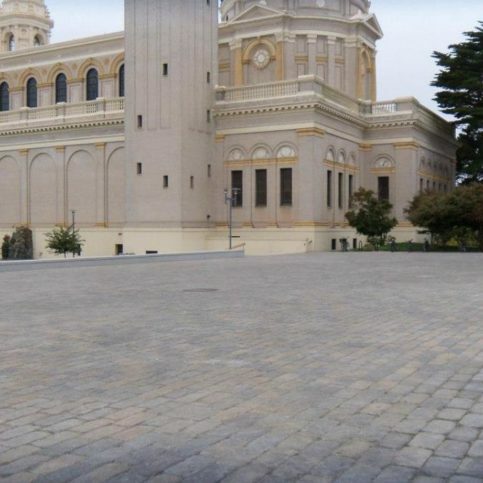 Diamond Certified Expert Contributor, Stan Jonah: What I’d like to talk about today – which is the most important part of a paver installation – and that’s the design element. 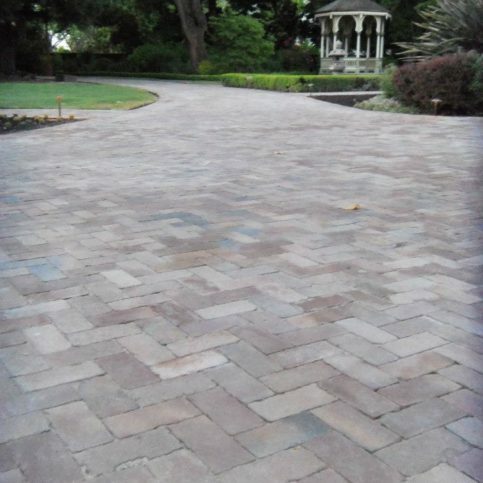 Most people pick the design elements out of catalogues – and, the paver industry has matured to the point where we now have pavers for virtually any kind of look, any kind of style – for example, if you’ve got a 100 year-old Victorian house, you don’t want to put a modern looking paver in it because it doesn’t fit and it doesn’t do justice to the installation. There are now pavers that look like they are 100 years old, that have been walked over by horseless carriages, and fit the design. 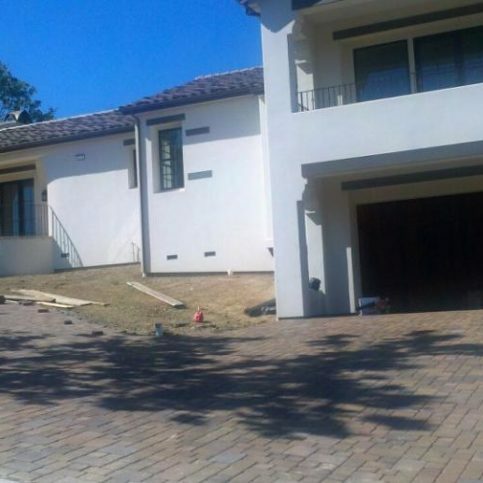 So, the important thing to do is to spend the time to make sure that the paver installation reflects the property, reflects the colors of the property, reflects the mood that you’re trying to accomplish, because you could get pavers that are very muted in color, you can get them very high density colors. So – and, if you pick the wrong one, it doesn’t do justice to the property, it doesn’t make it look right. So, you want to take the time, and make the effort to make sure that the paver you pick, the colors that you pick, the borders that you put in, the patterns that you pick, fit exactly with the property that we’re dealing with. 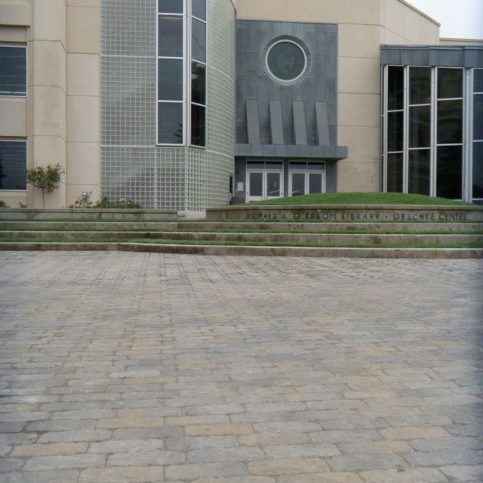 Story of a Landscape: University Adds a Paver "Living Room"
Read this article to find out how The Legacy Paver Group overcame project deadline challenges to create an award-winning job. The Legacy Paver Group : Average 9.3 out of 10 based on 93 unique customer surveys of customer satisfaction. Go with it. She is very personal about your service wants and needs. They come through, and if anything gets messed up, they fix it. They are totally awesome, just like family, great people. I have recommended them to everyone. Awesome people, and they did a beautiful job. My backyard is beautiful. She is an honest owner and takes extra steps. It was just unbelievable. They know their business, and even though you think you know what you want, they are able to explain and suggest what will work best. I get so many compliments on the work and that is the best. The experience, they explained what pavers do, what to expect, how they react, and what works best. They are responsible, hardworking, and reliable. I had an old stone job that was done improperly, so they redid everything with new ideas, and I am extremely happy. They were conscientious. There was one minor problem that was not their fault, but they came back out immediately and fixed it. Haley is very easy to work with. Their customer service design ideas, they redid what had been done and made it better. Very responsive, excellent service, knowledgeable, and the installers were great. The owner, Haley, was very easy to work with. Very flexible, as the project changed a little bit, they were very easy about it. They are the experts, and they started off with a plan. I saw it a little different. They were easy with changes when it became apparent that the changes would work. The quality was very high, and they were very professional through out the process. I would recommend them. They did a high quality job, they were very easy to work with, and they took our concerns and special requests into account. When I pointed things out that I wanted them to be careful of, they were very respectful. They did a very professional job, on time, and on budget. Incredibly professional, friendly, and they were great at communication throughout the process of the installation, demolition, and design. The product and end result, I was really satisfied. They helped with the design and colors. They matched the color and style of our house. They helped from beginning to end. They answered my questions. We kept some cement steps, and they gave us ideas and recommendations of stains which was extra. They continued to help even though their work was completed. It was extra nice. They lived up to my expectations. The owner, Haley, and salesperson, Stan, did a phenomenal job from start to finish. The owner was on site and answered all of my questions. I highly recommend them. The communication between Stan, Haley, and the office manager, they were right there when I had any questions. They have a list of all the jobs they had done in the Bay Area, and the caliber of work that they did for various businesses was phenomenal. They also gave me some addresses, so I was able to view finished projects in Santa Rosa and San Rafael. I was only up there one time. It is a rental property, but they came highly recommended, and I was very impressed with their work. I'm actually about to call Haley next week to do some more work for me at that property. I was trying to replace a wooden deck, and the quotes were extremely high. The bids for a masonry product, which is low maintenance, was way better. Haley helped with the design of the backyard. I wanted something different, but she explained why her design would work better, and it turned out great. Like I said, I was very impressed. They are stellar. We were thrilled and would highly recommend them to anyone. Very professional, efficient, good communication, and the quality was beyond our expectations. Working with Stan, Haley, and all of the people involved was a treat. The guys that did the work were wonderful. Everyone from the organization was 5 star. Their finesse is impeccable. They are on top of everything. I have a weird shape property, and they did an awesome job. They were very efficient. They were replacing work that was not done well and falling apart. The way my property is shaped, it is not easy. They did an excellent job. I have recommended them to everyone and those admiring the work. They did the best job. All of it was very good and especially the way Haley supervised it. There were no arguments, all questions were answered, and there were no bumps in the road. She has a wealth of knowledge and is cool about it. They know what they're doing. They are very professional and willing to give you creative ideas. They are knowledgeable about the entire process regarding paving.